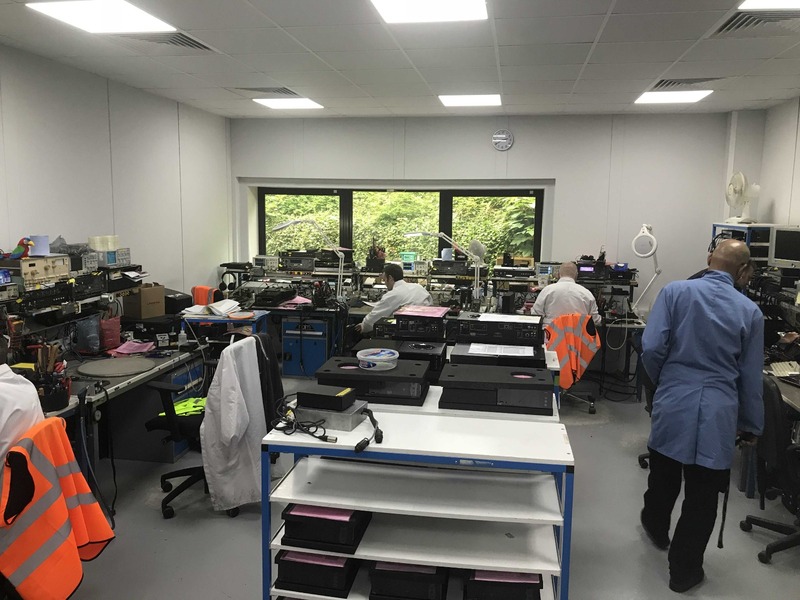 Call me a geek but I do enjoy a good factory tour, and with Naim building some of the finest equipment in the world, I had been particularly keen for this trip for a while. Especially as due to varying circumstances over the past year it had been rearranged several times, which had only built my anticipation further. So to avoid any further potential issues, Andy and I headed down to Salisbury the night before so we could get an early start and cover all grounds, plus leave time for a listening session at the end. So it was set to be a busy day. 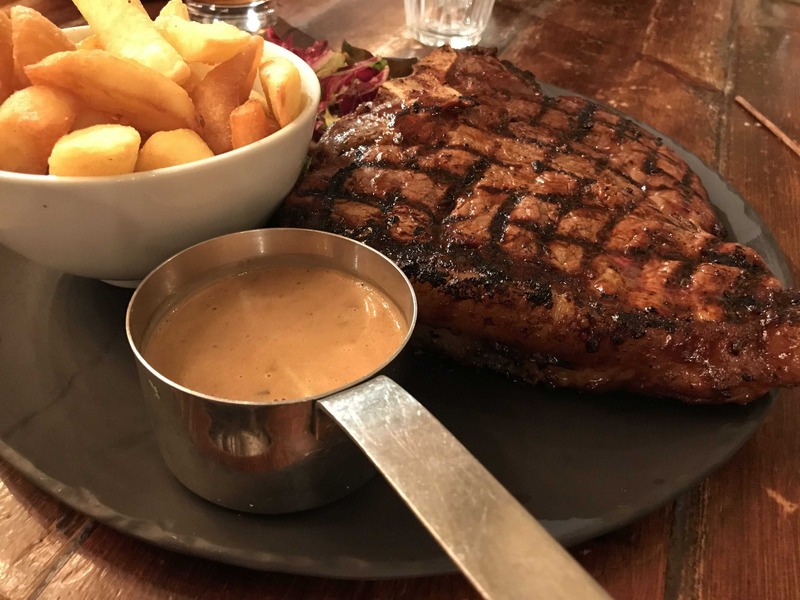 If you are ever down in Salisbury I would highly recommend the Chapter House where we stayed, great location in the city centre, superb food (950g steak was delicious and filling!!!) and Andy indulged in their selection of beers, all of which got the thumbs up… Plus a comfy bed was the perfect way to sleep off my food coma. Morning arrived and we headed over to Naims HQ, a vast building which has been expanded over the years to reflect their growth, both in production and R&D. 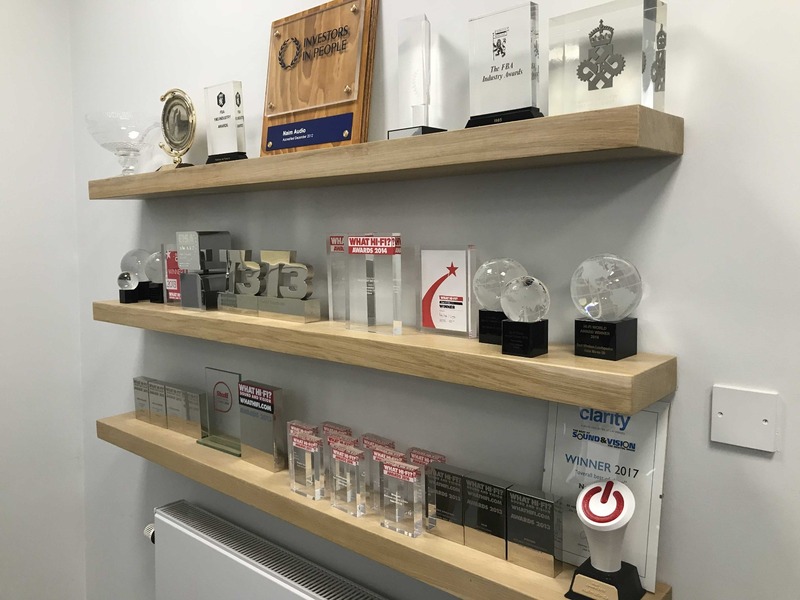 At the entrance hall, we were greeted by a small selection from a vast array of awards which Naim has accumulated over the years… Some of which were won before I was born! The tour was led by Jason and Dan, both of whom have been with the company for many years, with Dan joining way back in 1983! I was surprised to learn he was not even the longest-serving employee there! It is a true reflection of the company’s ethics and values that it has retained staff members for so long and their knowledge and passion for the brand was staggering. We started off on a high, a Statement was in production and we were lucky enough to be shown the production line. This mighty beast was Naim’s venture into the ultimate, no expense spared, uncompromised sound reproduction. With an R&D venture costing over one million pounds, Naim wanted to push the limits of music reproduction, creating the best system that current technology would allow. Fortunately, we have been lucky enough to see aspects of this development trickle down into the classic range. The Statement is split into two halves separated by an acrylic block, that not only looks the part but was specifically chosen for its properties to block mechanical interactions between the noisy power supply and sensitive electronics above. 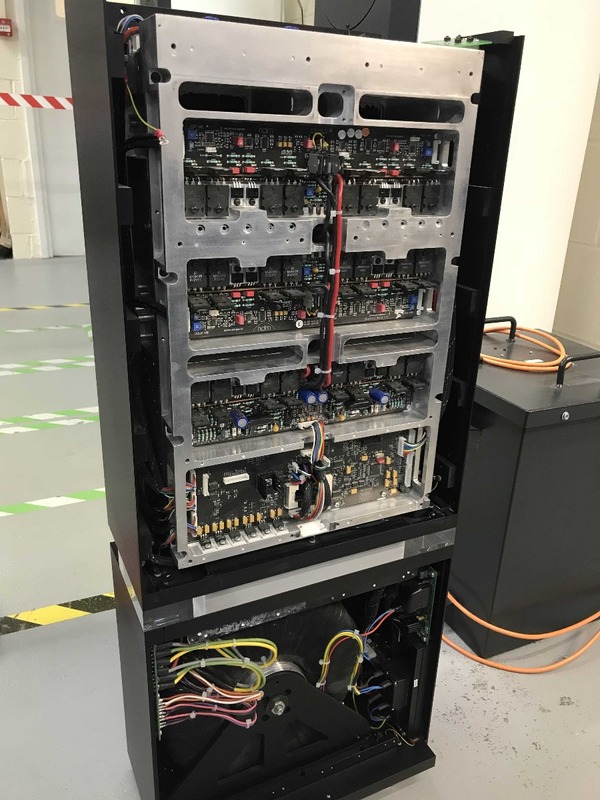 The heart of the power supply is a whooping 4KvA transformer, housed in a brass mount which is then bolted to the chassis… You would be forgiven if you thought it was bolted to the floor when trying to pick one up! It is a true work of art and currently, only three skilled technicians are qualified to work on any Statement piece, which takes nearly a month to produce and assemble to the highest standard. If there is any nicks or scuffs to internal cables or components, then the part is discarded, including that stunning transformer. Every attention to detail has been paid to grounding, materials used, even the casings internal design helps reduce noise so that the end amplified signal is as clean as possible. We then moved onto the production floor for the classic and Uniti range (yes there are NOVA’s in production!). The staff here are just as meticulous as their Statement counterparts, every cable that should be kept apart is neatly separated, even the bends put into the earth cable to reduce mechanical noise are reviewed. Naim as a company are fussy to the nth degree but when you hear their products it's obvious they are on the right track! The ultimate expression of their pernickety ways is the fact that every DIN cable supplied is shaken 172 times before being boxed up! Mr Vereker had noticed when doing testing early on, that one cable had sounded differently to another, despite being the same cable. Upon investigating he found that stressed cables were a factor contributing to this difference. Most cables are wrapped on reels that subject them to a fair degree of stress before being cut and terminated. So now every cable is hooked up and shaken before being loosely coiled up and packed in the box. As for the exact number 172, well that seemed to be an arbitrary number to poke a little fun at the lengths we go to for pursuit of the perfect system. So after passing through production and seeing everything from classic NAPs to NACs (a few pieces being built for our customers as well which was nice to see ??) as well as a sneak peek at the production of the Gen 2 streamers. We went over to see the guys in service and here is where Naim excel. They pride themselves on customer service! 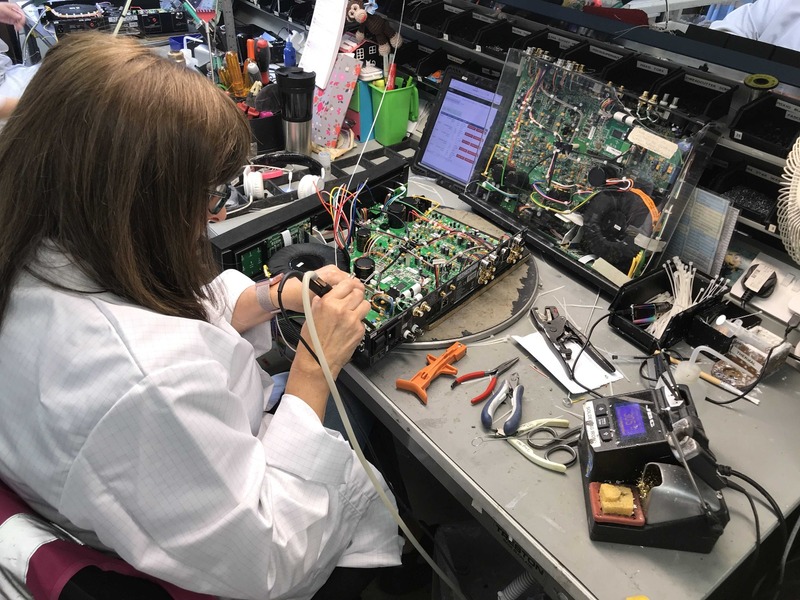 Products, even dating back to the 80s, are being serviced and fixed. They keep huge stocks of spares to make sure they can look after you and your purchase for many years to come and this forward thinking continues to this date. 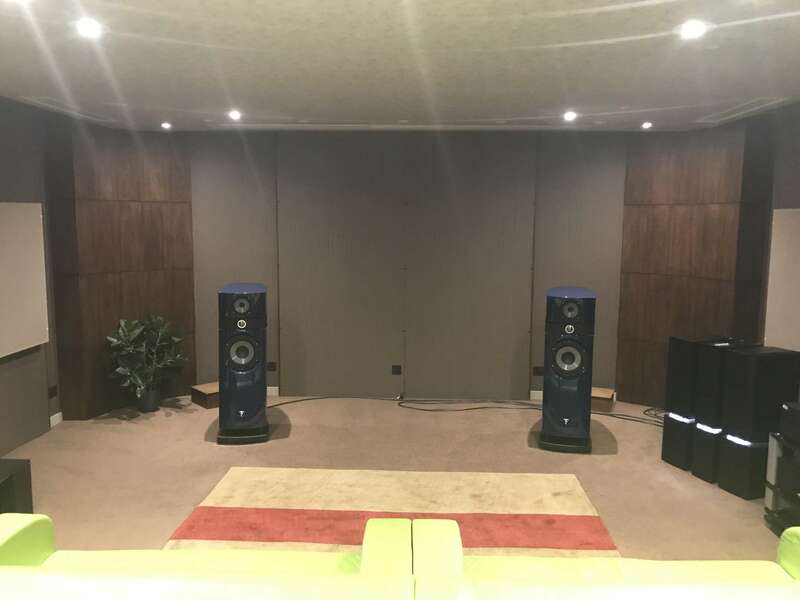 The CD5XS was discontinued recently as one part had ceased production, Naim purchased every remaining piece, not to be able to make one last batch for a quick sale, but rather to be able to service and support CD5XS owners for the foreseeable future. 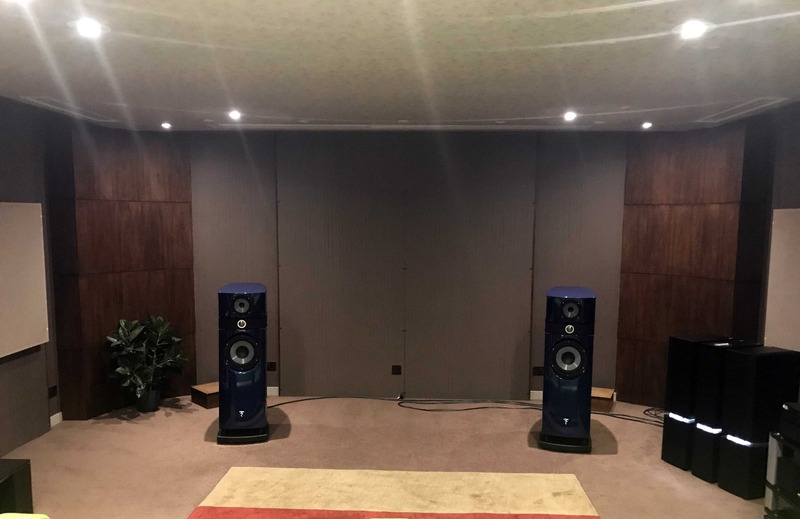 The final part of the tour was the best part, we were joined by one of our customers who has been a Naim owner since the late 80s and as times have progressed so has his system, cumulating in NAC552, NAP500DR, NAP300DR, NDS, 555PS and now considering the ultimate upgrade to Statement, being fed by ND555 and dual 555PS. Luckily this is what we were treated to. The Focal Scalas were driven to their upper limit. Everything we threw at the system it handled fantastically, displaying effortless dynamics, authority and a soundstage scale which is hard to match. A particular track which stood out was Benny Greb – Grebchestra, an interesting track consisting of his own vocals layered, and a powerful beat which comes in sharply and aggressively with some crazy mind blowing syncopated rhythm. I am pleased to say the system did not miss a beat! What was presented in front of us was a giant drum kit with perfectly panned snare rolls and crisp hi-hats all round superb. After a couple of hours more of listening we sadly had to hit the road. What I took from the tour was that Naim is a company that is about attention to detail, both in R&D and manufacturing!! Above all else, it was a company of great people who care about their product and the music. If you wish to demonstrate any Naim products we carry the complete range up to the 552, NAP500DR and will have the latest range of streamers as soon as they are out… Just give us a call.